Following our successful LinkedIn workshops we received some additional questions about LinkedIn accounts for both personal and company pages. 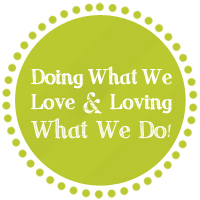 Here are a few we’d like to share with you. Q: Do I need a personal profile to have a company page? A: Yes , along with anyone who will serve as an administrator on your company page. Q: Do I need to create a company page? A: No, you are not required to create a company page, but there are a lot of benefits for doing so. A company page allows you to advertise individual products or services, post job openings, and promote your company as a whole. A company page may help generate word-of-mouth marketing as well as strengthen your branding and reputation. Q: What’s the difference between connections and following? A: On your personal profile you make “connections” (friends), but on your company page, people may only “follow. ” It is very similar to how Facebook profiles and business pages are designed. Not everyone will be a follower and a connection. Many will be just one or the other depending on their relationship with you and your company. Q: May I give someone admin rights to my personal profile? A: No, but you may give other people admin rights on your company page. Q: If I give someone admin rights to my company page, does that mean they have admin rights on my personal profile? A: No, they are completely separate. Only company pages may have more than one administrator. Q: If I have a status update on my personal profile will it go on my company page? A: No, your personal profile and company pages are completely separate from each other. However, you may add your blog feed to both your profile and your company page. This means anytime you post a blog, it will automatically show up on both your profile and company page. Q: Does a company page help with SEO? A: Yes! Creating a company page provides a valuable opportunity to get listed high up on search engine results and to advertise your business, create more link connections and establish your company’s keywords. Q: How do I determine the best way for me to use my LinkedIn account for my business? A: Every business has a different strategy. When creating your LinkedIn strategy, be sure to focus on your target audience..
-If your business is built around one person who acts as the company brand, focus on their personal profile , establishing relationships, and getting personal references. -If you sell a product, focus your time on the product and services page of the company page. Get people to write product recommendations and bulk-up your content. -If your target market does not include business professionals, perhaps LinkIn is not the best solution for you. Create a LinkedIn presence, but allocate more time for other social media sites that are a better fit for your business. Still have questions? Leave a comment below with your LinkedIn question, and our social media guru will be in touch. Need help getting your LinkedIn account up and running? Give us a call or send an email. 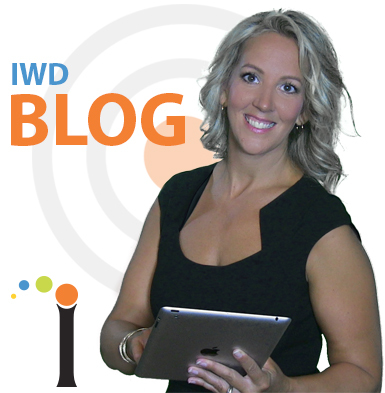 IWD will have you networking in no time!